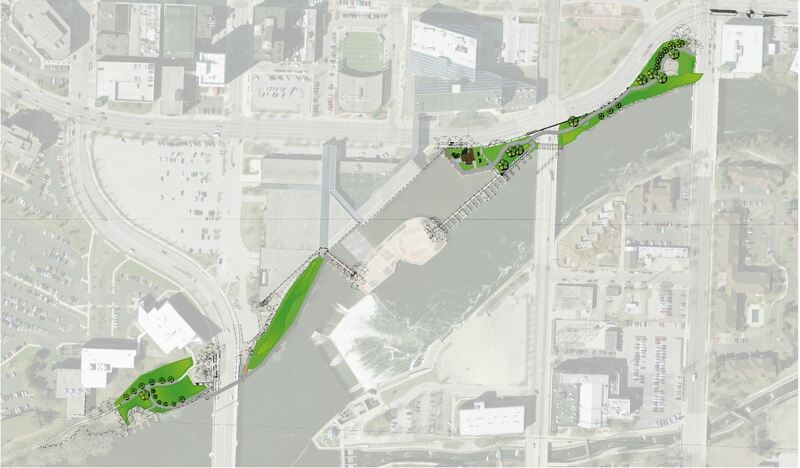 Connection between Gwen Stiver, Pier Park, Island Park, and Plaza Park addresses challenges and concerns about being able to safely access the riverfront in these parks. A new boardwalk will connect all three parks. St. Joseph St. at Lasalle St.